McGinnis Homes brings a fresh, energetic view toward general contracting. McGinnis Homes builds to a higher level of standards and quality and does so with professionalism and enthusiasm. 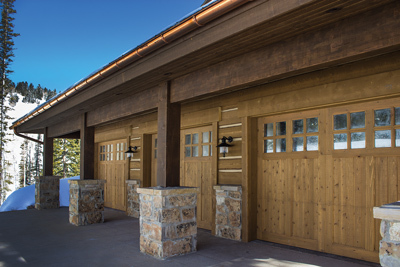 Founder and owner Samson McGinnis is an experienced professional with a strong handle on schedule, controlling costs, and keeping the homeowner on top of the project. McGinnis Homes embraces the newest in technologies while operating on the old-fashioned premise of hard work and personal integrity. For his clients, this hands-on approach makes building a home a positive experience. Samson McGinnis is just adding the final touches to Lundy and Mary Wright’s new mountain rustic home in the Colony. “Other people warned us of the stress and problems of building a home. For us, it was a pleasure working with Samson from beginning to end,” Mary says, as she recounts her experience. There isn’t an aspect of home construction that is a better indicator of a contractor’s management skills than schedule. There is seriousness when Samson jokes about the fine line between being on time and being late, and that’s why he opts for being early. Not long ago, McGinnis Homes completed a 7,500-square-foot luxury home within the ambitious schedule of just nine months. Accomplishing this can be attributed in part to his hands-on management style and ferocious commitment, but additionally Samson McGinnis has an ability augmented by his 12 years of experience to envision a home from framing to completion that allows him to anticipate and prevent problems that undetected could cause delays and overruns. 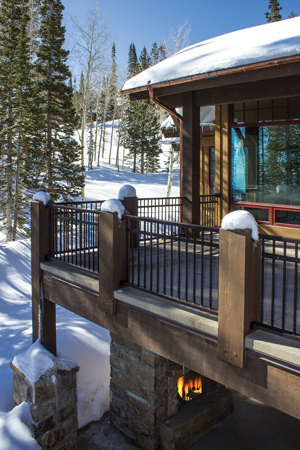 McGinnis Homes has completed homes ranging in style from contemporary to mountain rustic, and is accomplished in the diverse detailing required for creating this range of designs. Common to all these styles is energy performance. 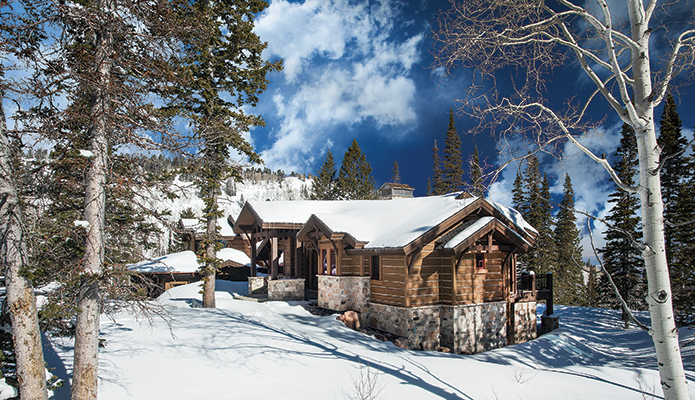 Building a new luxury home with personalized comfort and spaces for enjoying life in the mountains needn’t be stressful, frightening, or difficult, say clients of McGinnis Homes. These clients have experienced working with McGinnis Homes and living in these carefully constructed residences built to last for a very long time.